Parents often get overwhelmed by many options when trying to choose the best vacations. Southeast Asia has many great destinations that you can select from. It offers a long list of friendly local people, beautiful beaches, amusement parks, good food, and the most important, it is safe for travelers, both older and younger. The capital of Vietnam must be an attractive place for kids with many interesting things to have fun. Don’t be surprised if they want to stay longer than your initial plan. - Taking a cyclo: Not many cities in the world have cyclo (a carriage seat powered by a bicycle driver,) so don’t miss it. A 2-hour journey on cyclos will tell your family much more about the city. You can stop at a food stall to sample a snack, Toy Street Luong Van Can to buy your kids a toy, or any store in the Old Quarter to buy “Hello Vietnam” T-shirts. - Thang Long Water Puppet: A must-visit in Hanoi. Your kids will discover the traditional water puppet of Vietnam. The puppet artists stand waist-deep in the water, behind a curtain, to perform wooden puppets telling many interesting stories that will truly captivate your kids. - Museum of Ethnology: This is probably one of the best for kids. The museum has quite a lot of valued exhibits. The large outdoor section has traditional ethnic minority houses of North Vietnam. Your kids can climb up to stilt houses or play traditional games on the ground. The museum also offers puppet performances from 10:00 to 16:00 every day. - Military History Museum: Boys would love this. The museum displays many artifacts of the Vietnamese wars. They can climb up a real combat aircraft or a tank to pretend to drive them. - Lotte Observation Tower: There is a kids playground on the 5th floor (appropriate to kids under age 7) in the Lotte Tower, but the most amazing attraction is the Sky-Walk. Its walls and floor are made of glass, bringing a real sense of heart-stopping excitement when you try to walk on and look down at the bustling street from the 65th floor. This is certainly not for the faint-hearted. There are telescopes to view the city and a fast food restaurant nearby. - Bat Trang ceramic village: Your kids will learn to make pottery in a traditional way with clay and a spinning wheel. It looks pretty easy to do, but once you try, get ready for a funny, distorted product that will leave you with a real appreciation for potters! - Street food in Hanoi is mouth-watering for both adults and kids. Try as much as you can to know why Hanoi is one of the best paradises for food lovers. Pho, Bun Cha, and Banh My are just some among many that put Hanoi on the food map of the world. 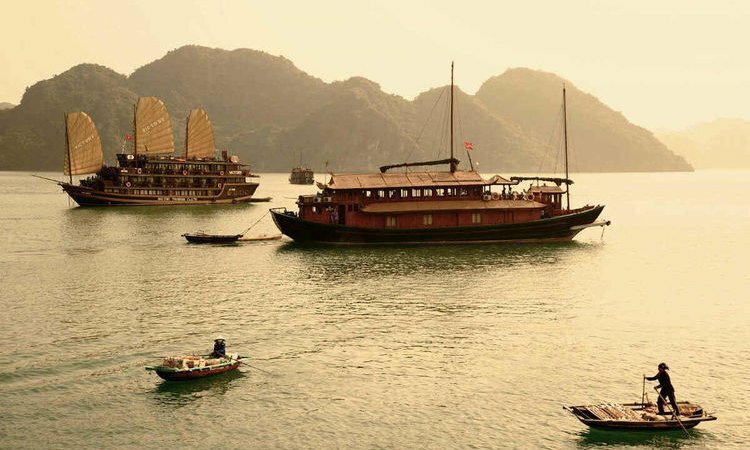 - Visit Halong Bay, a UNESCO World Heritage Site, which is easy to access from Hanoi by a private car. One day cruising on a boat would be an experience that would delight every child. 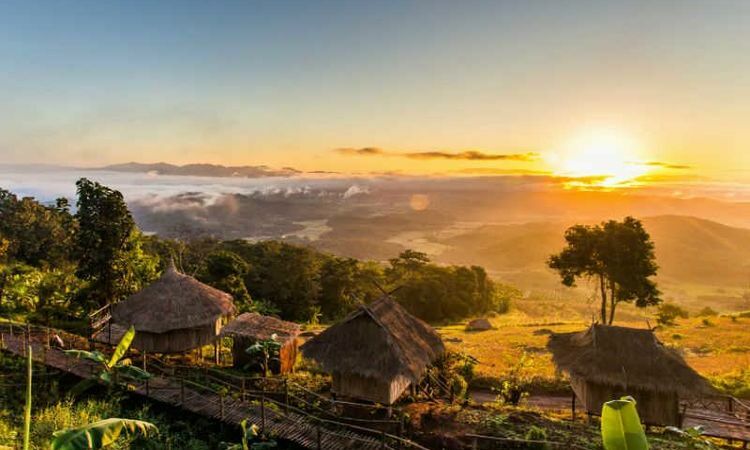 A trip to Mai Chau which is only 170 kilometers from Hanoi is a lovely day trip, too. - A talk with our Vietnam travel experts doesn’t take a lot of your time, but they can help you to decide which itinerary is suitable for your family. The Family Fun in Vietnam tour is a good example. 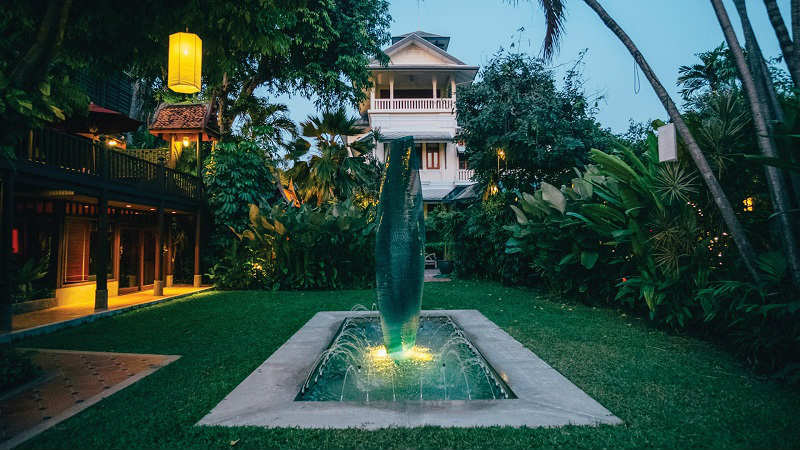 Spreading over 12 provinces of the country with a diversity of wildlife and a true feeling of Vietnamese life, it would be a shame if your family’s journey to Vietnam passes over the Mekong Delta. - Take a boat cruise: Needless to say, a boat is the best way to discover the 12th longest river in the world. The local life on the riversides is very lovely and fresh. The villagers mostly survive on agriculture practices and the fisheries right on the water. 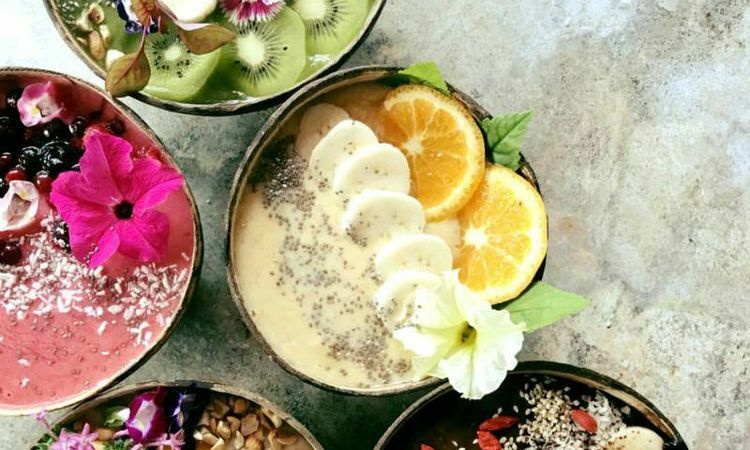 - Visit the villages, pick the fruit, and taste honey lemon tea: The Mekong Delta wins an award for its hospitality, so make sure to spend your time visiting the villages and talking to the locals. Thanks to the pleasant climate, the fruit seasons seem to be all year around. The kids will love to sample many kinds of tropical fruit, which they pick by themselves. You can also taste cups of lemon tea mixed with honey, which is harvested in the garden. The local children are very friendly, and they’ll make friends very quickly. They will want to show your kids the beehive frames. - Learn to make coconut candy: Coconut is the most popular fruit in the area. Take your children to a coconut candy village to taste the fresh coconut water and learn to make the traditional candies. This job is quite easy for them and they can eat their products after that for free. - Floating markets: A trip to Mekong Delta is incomplete without a visit to the floating markets. All the living and shopping in the area takes place on the water every day. The sellers hang their products on a bamboo pole so the buyers can easily spot them. You can stay on your boat, order food from one boat, and fruit or drink from another boat. - Catch the fish and cook: This may be the most fun activity for kids. They will catch fish on a narrow canal by a bamboo fishing rod or even with their bare hands! This ends up with a lot of laughs. The local will also help to cook your fish. One of the tastiest dishes you’ve ever tried, I would say - one that you’ve caught yourself!. - Tram Chim National Park: A great place to teach your children about nature and wildlife. The park spans more than 7,300 hectares and is home to 231 species of water birds. It’s easy to spot rare birds such as the Burmese Sarus crane, the greater adjutant, and the black-headed ibis. My recommendation: - Try the tropical fruits, they are very healthy and sweet. The Mekong Delta has many different kinds of fruit: from pomelo, orange, coconut, mango, pineapple, longan fruit, rambutan, to jackfruit, banana, and dragon fruit. 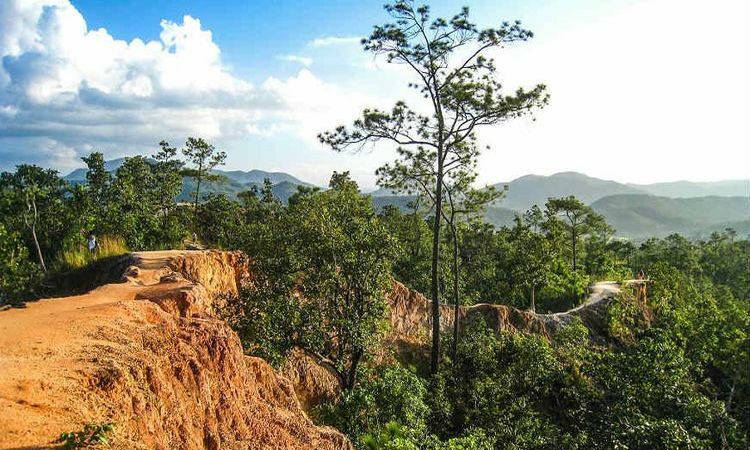 - From here, you can head to Phu Quoc, one of the most beautiful beaches of Vietnam, in just a three-hour drive. - Refer our remarkable Vietnam tours such as Idyllic Journey to Vietnam, Authentic Vietnam, or Complete Vietnam to have a general understanding of the Mekong Delta and Vietnam in general. - Read our Ultimate Guide for the best Mekong Cruise if you want to explore the indigenous culture of the communities by the Mekong river bank on a cruise. Despite the fact that gorgeous beaches are the main draws of Koh Samui, they aren't the only ones. Your family will soon find there are plenty of choices for a great vacation. - Ang Thong Marine National Park: It’s hard to deny that a beautiful beach will attract people of all ages. Let’s begin with a trip to Ang Thong Marine National Park. Your family can experience many activities including kayaking, swimming, or even hiking up the rocks to have great views if you still have enough energy to do that! - Aquarium and Tiger Zoo: The aquarium features most of the marine life of the Gulf of Thailand. Here, your kids can play with sea lions, caress a tiger cub, and feed a sea turtle. - Butterfly Garden: If you have a daughter, you shouldn’t miss the butterfly garden, which has thousands of colourful butterflies and beautiful flowers. If you have a boy, the garden is still worth a visit. The Insect Museum and Bee House within the garden will surely fulfill his bug curiosity. - Samui Water Parks: Samui has some of the best water parks in Thailand. Both Coco Splash Adventure & Water Park and Pink Elephant Samui Water Park are spacious, filled with exciting water activities for children and adults alike. - Samui Football Golf: This game is so much fun. It is a hybrid of football and golf in which players trying to direct a football into 18 holes by their feet. Your family can divide into two teams, and whichever team uses fewer strokes to finish the game will be the winner. - Samui Go-Kart: Boys love go-karts. Some girls do, too! The Samui Go-Kart offers courses that suit everyone’s skill level and age, so even if you’re a novice rider, you’ll still have a safe and fun time. - Paradise Park Farm: A great place for kids, especially the young ones. They will be entertained for hours, seeing and feeding many kinds of birds and animals. After the stroll, they will definitely want to play in an infinity pool overlooking the Gulf of Thailand. The park offers plenty of food and drinks, too. My recommendation: Take the kids to a cooking class to learn some recipes for Koh Samui food. This island provides short courses which only lasts 3 - 4 hours, enough to keep your children engaged and entertained. - Consider our Island Hopping tour which connects Koh Samui with other beautiful islands such as Koh Phi Phi, Krabi, Koh Phangan to have the most exciting beach summer vacation ever. This is another top family-friendly destination in Thailand, loaded with quite a lot of attractions. Phuket has kid-friendly beaches, clear seas, favorable weather, and an enormous list of activities that can be enjoyed by people of all ages. (Read our Phuket Guide to find out more). - The Splash Jungle Park: A fun water park for young splashers. It features a pool, a lazy river and exhilarating rides. This park overlooks the picturesque Mai Khao Beach. - Baan Teelanka: Your kids certainly will be happy at this topsy-turvy place. It is quite bizarre, with all the furniture in the house upside down, which may make them feel a bit strange at first. The maze garden in Baan Teelanka is great fun, too. Play in two teams and make it a competition who can get out the maze first. Kids love a good competition, you know! - Dino Park Mini Golf: The jungle and dinosaur-themed mini golf course is a must-visit in Phuket if you travel with kids. Instead of normal holes on the ground, the holes here will go through caves, big bones, or over a bridge. If they’ve had enough with the golf course, there are many other attractions to keep them interested, such as dinosaur footprints and statues, caves, and even a waterfall. - Phuket Trickeye Museum: Just like its name, the exhibition will fool you by their interactive 3D paintings using geometrical illusions. - Surf House Phuket: Surfing may be many kids’ dream (and maybe even our dream, as well), so make it come true in the Surf House, where your kids can learn to ride the waves, slip, splash, and laugh. It is designed for all ages so it’s very safe to play. - Phuket Bird Park: Another beautiful spot to visit. There are hundreds of tropical birds in the park, which are very friendly, and they’ll land all around you. Some of them even perch on visitor’s arms! - Phuket Elephant Sanctuary: This is an ethical elephant park where your children have a chance to walk with the elephant, feed them, and watch them roaming, playing, and bathing in their natural environment. What is more exciting than getting close to the elephant and feeding it! My recommendation: - Phuket is surrounded by many beautiful islands and each of them has something to offer. Hiring a speedboat to do island hopping is the best way to discover all of them. Swimming, snorkeling, kayaking, jumping off the waves, and building sand castles are some of activities that kids like most. Ask our experts here to get some more ideas about island hopping. - If you are looking for a beach vacation in this summer, our post about 7 ideas for Beach stay in Southeast Asia may give you some inspiration. - Take a look at the Luxury Thailand Family Trip, one of our bestselling tours , which can give you some great ideas about what you’d like to do on your trip. Thailand Nature Touch is another great tour to get close to the nature and beaches in Thailand that you might want to consider. It’s easy to travel around Malaysia with kids. Most of Malaysians speak English and many signs of restaurant and traffic are in English as well. The food is great, the public transportation systems are very clean and efficient, so you can move around the attractions easily. There are many things to do here to keep your children busy and happy. - LegoLand, Johor: Do you know any kid who doesn’t like the colorful Lego bricks? The Lego Kingdom is filled with attractions: castles, knights, dragons, and even roller coasters. Your kids can build race cars then test them on the racing track in the Imagination section, play in the big pool with a lot of giant lego bricks floating over the water in the Lego Water Park, and see lego replicas of famous landmarks in the Miniland. - KidZania, Kuala Lumpur: This is a whole new experience for your children. There are around 60 “workplaces” for kids to practice their dream jobs including being a pilot, a police officer, a firefighter, or a doctor. - Lost World of Tambun, Perak: An excursion through a world of adventure for the entire family. 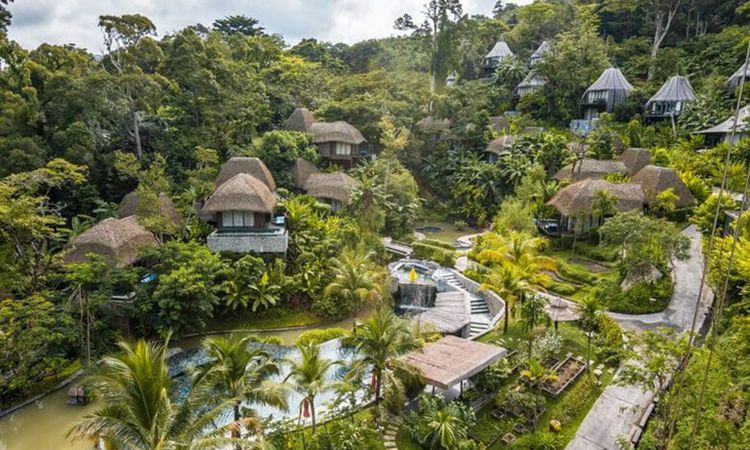 There are lush jungles and 7 amazing attraction parks. Your water babies will like tube ride and pool at the Water Park, little adrenaline junkies will find their interest at the Amusement Park with roller coasters, while parents will be happy to find time for yourselves at the natural hot spring. - A tour of Langkawi Nature, Kedah: This is an archipelago of 104 islands, surrounded by beautiful tropical rainforests and amazing wildlife. 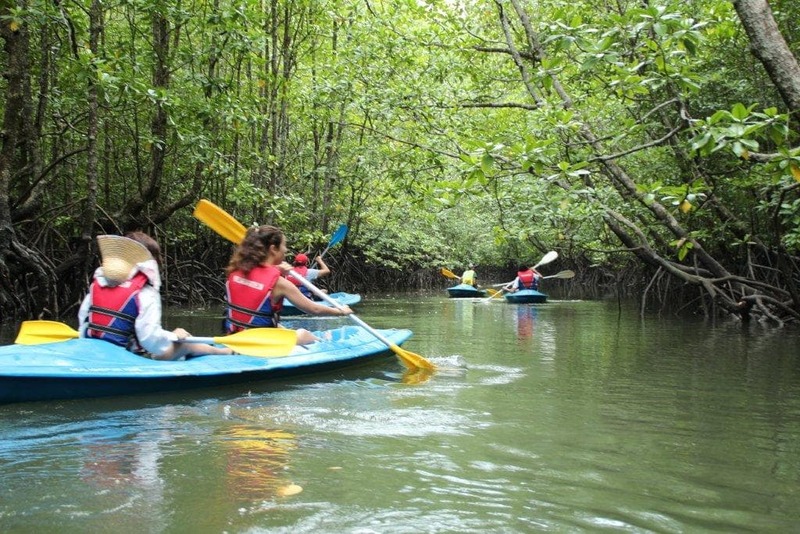 A trip to Langkawi is the best way for the children to get close to the beauty of nature. - Take a cyclo at Red Square, Malacca: Girls will love to discover the city on a trishaw, which is festively decorated with lovely Disney princesses, Hello Kitty, and Minnie Mouse. In the evening, many drivers even play music while driving. They are very friendly and willing to tell you more about the city and local life. - Visit Danum Valley Conservation Area, Borneo: Don’t leave Malaysia until you visit this huge conservation area. Not only because it has the highest concentration of wild orangutans in the world, but also because it’s also a great place for the kids to catch a glimpse at a Sumatran rhino, a sun bear, leopards, elephants, or even a crocodile in their natural habitats. Is there any better place to visit in the world with kids than Singapore? The people speak English, the public transportation system is just excellent, the city is jammed with family-friendly attractions and awesome activities that your children may insist on coming back again for their next vacation. - Gardens by The Bay: Your children might not be garden lovers until they visit this fascinating garden. You are lifted to the top level, which replicates a tropical mountain with waterfalls, and then you make your way down to discover the site. The highlight for kids is the Children’s Garden. This attraction consists of trampolines, balancing beams, hanging bridges, a water playground, tree houses, and other awesome play equipment. - Singapore Flyer: A great way to introduce Singapore to kids from the second largest observation wheel in the world. From 165 meters up, your kids can’t help saying “wow!” to the amazing view of the city. - S.E.A Aquarium: Take your little ones to the world of ocean wonders, home to more than 100,000 marine animals of over 1,000 fascinating species. Kids will be staggered to see nurse sharks, hammerhead sharks, giant eels, giant octopus, and poison frogs. It's definitely an experience they won’t forget. - Universal Studio Singapore: Another must-see attraction in Singapore. If you miss this, you will miss a lot of fun. The Hollywood-themed park features exciting performances for both adult and kids alike. Your sweethearts can’t wish for anything more than having an adventure with Shrek, fighting evil forces with the Transformer’s warriors, facing mummies in Ancient Egypt, or being drenched in a wet riverboat ride. - The Night Safari: It’s easy to understand why this place is awarded as one of top 10 best family experiences in Singapore. Unlike traditional safari houses, the Night Safari opens in the evening. It is set in a humid tropical forest and made visible by lighting that resembles moonlight. Manage your time to watch the Creature of the Night Show, which is a performance presented by the animals in the safari It’s very humorous, entertaining, and interactive for kids. - Science Centre: If you’ve got a curious youngster, this is the best way to satisfy their curiosity to explore the world. The centre was designed as a fun way to educate children about the wonders of science. With more than 1,000 interactive exhibits, your kids might want to spend more than one day here. - Singapore Zoo: It is by far one of the best things to do with kids in Singapore. The zoo is large and green, with a huge variety of wild animals.Here, you’ll see not only the standard zoo animals like tigers, lions, and zebras but more local and exotic animals like Komodo dragons and orangutans. The enclosures are well designed, allowing kids to get close enough to the wildlife to really see them. This helps keep them really engaged in the excursion. Make a visit the Gardens by the Bay in the evening. Stroll along the OCBC Skyway, a 128-meter long walkway connecting two Supertrees, each 50-meters high, to admire how the Supertrees come alive with amazing shows of light and sound. Your kids will learn that Supertrees - which look like giant alien trees- are actually vertical garden displays consisting of about 163,000 plants each. Southeast Asia certainly has more than just these 6 destinations for a family vacation. Contact our travel experts, who love traveling as much as love playing with children, to find out the best itinerary for your family.